Kids and beanbags go together like peas and corn. 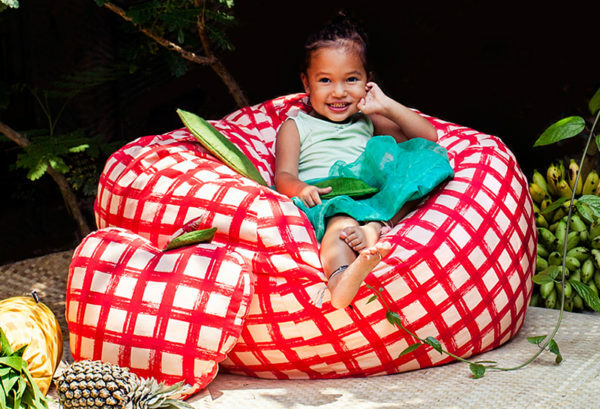 Lucky for us, beanbag choices for kids are nothing short of plentiful – you just have to know where to look. Jump through to discover our favourite bean filled finds from the urban cool to tooth-achingly sweet. There’s a bag of fun for everyone! Sit on them, read in them, climb on them, play with them, drag them from one room to the next – whatever it is that your kids love to do with their beanbags, we’ve got a beanbag for the job! An apple shaped beanbag? You bet! 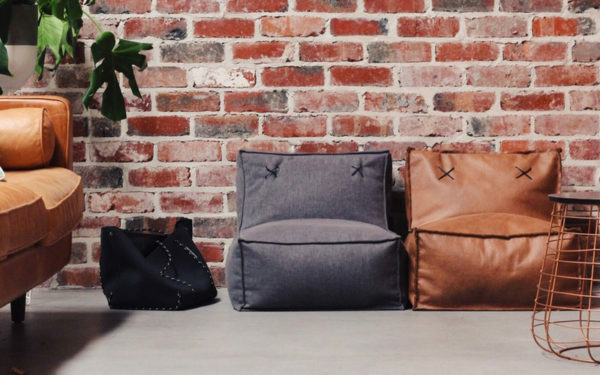 The Sack Me beanbag collection is filled with funky shaped bags. The Apple Beanbag cover, currently on sale, can be yours for $89. For beanbags which will complement the sleek and coolest of decors, HomeDay Mini Mod beanbag chairs get our vote. Priced $139, choose from dusty pink, charcoal or grey and for a personalised touch, you can have a name printed on the handle. A deluxe leather-look Mini Mod chair is also available, priced $159. A cosy read is guaranteed when snuggled in a Miann & Co knitted beanbag. 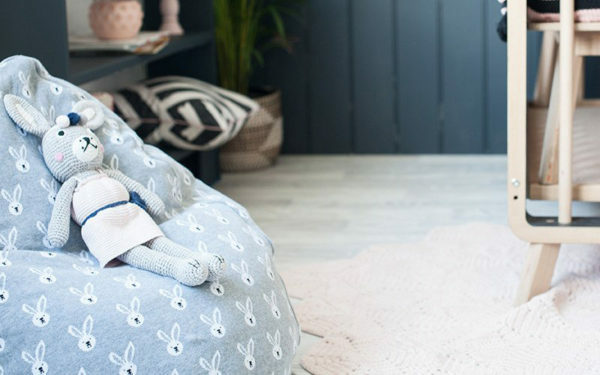 My pick of the bunch – this gorgeous Bunny Beanbag in grey and white print, priced $135. Swoon! 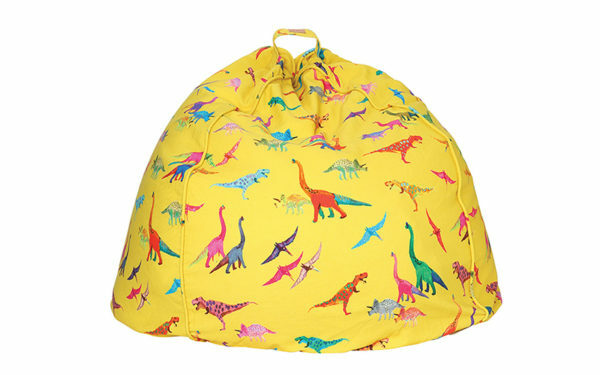 Longstanding kings and queens of printed fabrics, Kip & Co dazzle us with their fun new season beanbag offerings of sprinkles, dinosaurs and eat me canvas prints. For those who want to sink into something really plush, there’s several coloured luxe velvet beanbags to choose from! Priced $129 each. 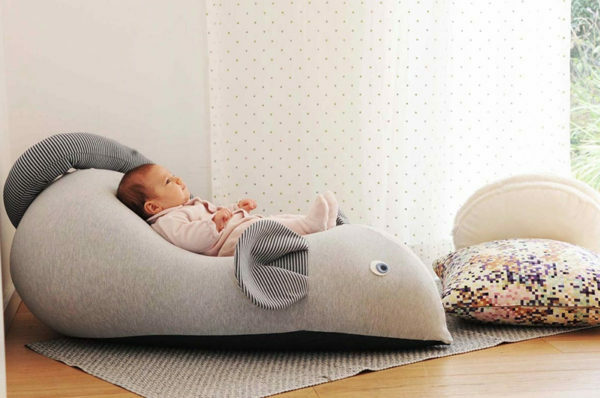 If it’s cute you’ve been looking for, Little A & Co Animal Loungers are the cute and comfy answer. 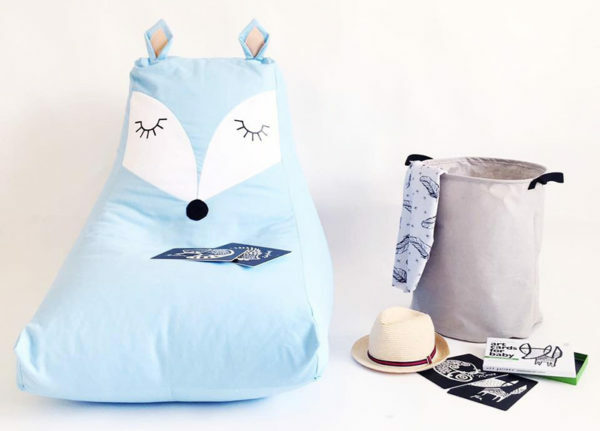 Priced from $145, you can choose from nine coloured canvas Animal Lounger covers in either fox, hippo or bunny styles. Too cute! For a budget friendly buy, head straight to Kmart for all things cheap and cheerful. You can pick up an extra large doughnut for just $25, complete with sprinkles. 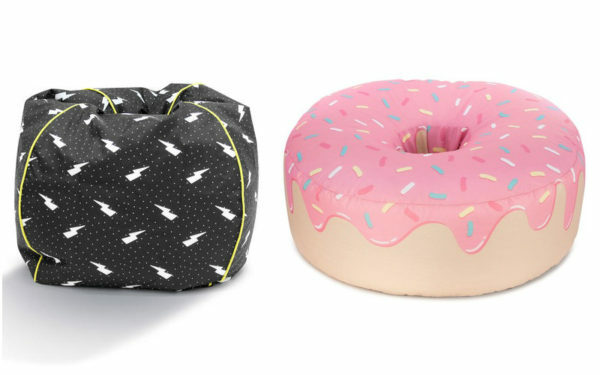 For the fans of monochrome, you too can pick up a fabulous selection of beanbags from just $19. Possibly the most adorable mouse you’ll ever spy, this super cute Mouse Beanbag, $148, is available from Etsy’s Pockets. Made your choice and now in need of a mountain of beanbag beads to fill your bag of choice? Head straight to Kmart where you can pick up a 100 litre bag of beans for $12.